Objectives: The present study aimed to investigate medication adherence awareness among women undergoing infertility treatment. Materials and Methods: Several databases were searched including PubMed, Embase, CINAHL, PsycINFO, as well as ProQuest dissertations in order to collect the required data. 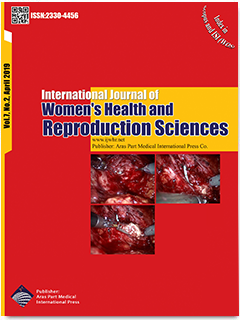 In addition, based on the purpose of the study, English-language prospective, retrospective, observational, cross-sectional, quasi-experimental, and randomized controlled trial studies were selected which focused on medication adherence as a primary or secondary outcome in women with a diagnosis of infertility. Finally, critical appraisal for the quality of the study was assessed using Downs and Black Quality Checklist (1998) and STROBE guidelines. Results: Three studies conducted during 1993-2011 were analyzed. Further, sample sizes varied from 30 to 626 subjects with average rates of oral medication adherence ranging from 26% to 81% when used as the first-line therapy. More frequent daily dosing was associated with lower adherence rates. Based on the results, adherence was significantly lower when women were concerned about the side effects of medication adherence or reported 3 or more side effects rather than one or 2 cases. Furthermore, women with a body mass index of <23 kg/m² or those who viewed medical treatment as convenient had higher adherence rates. It is noteworthy that none of the studies evaluated medication adherence during controlled ovarian hyperstimulation (COH) cycles, along with intrauterine insemination (IUI) or in vitro fertilization (IVF). Conclusions: In general, rates of oral medication adherence are found suboptimal when used alone as first-line therapy. Accordingly, further studies regarding medication-taking behaviors are warranted in future research trials involving injection medications and COH cycles associated with IUI and IVF cycles in order to strengthen the clinical practice.